These 4 crosses were made from the ends of Bishop Doyle's pectoral cross. They are now available for purchase and are priced around $59 each in sterling silver. These 4 shown are the first ones I made for Bishop Doyle and his family. He carries the pomegranate as a pocket cross, his wife JoAnne wears the Dogwood, and daughters Caisa and Zoe wear the Lotus and Lily. 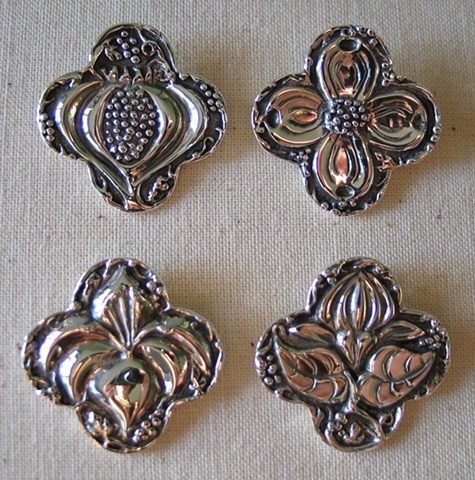 The pendants measure 1 1/8th inch.